Would you like to watch annotate introductory video? Annotate is a cloud based HTML5 web app that transforms your iPad, Chromebook, smartphone, or mobile device into a powerful engagement, assessment, and participation tool. Turn your mobile device into an interactive whiteboard. Freely walk around, remotely control your computer, and wirelessly present and annotate without turning your back to your students. Schedule formative assessments on the fly and use real time student performance data to tailor instruction. Students respond using their personal web enabled devices. 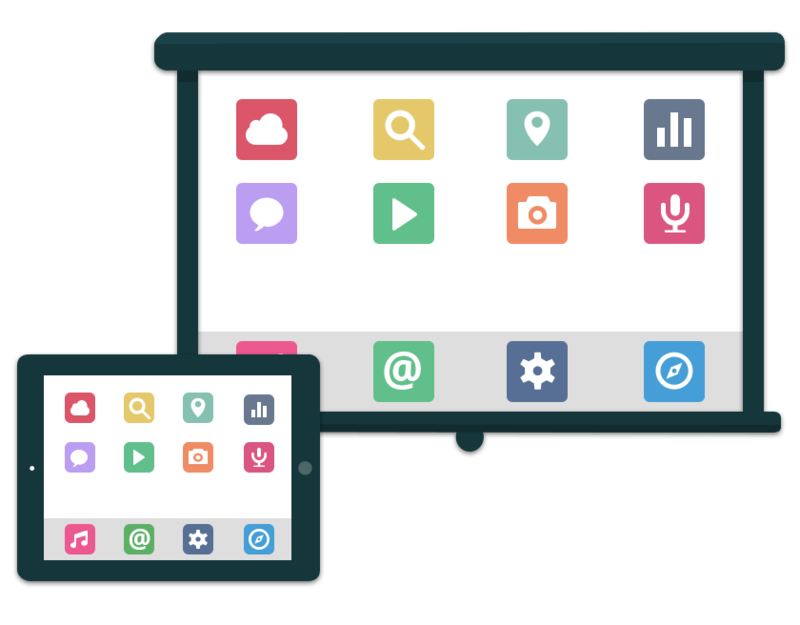 Turn your projector into a giant tablet screen. Wirelessly mirror your iOS or Android device screen to a projector. Teach and share your favorite apps. Record screencasts with your own voice overs and flip your class. Create collaboration activities and get all your students to participate. Let your students present right from their seats.  Create, build, and work together as a coherent team. 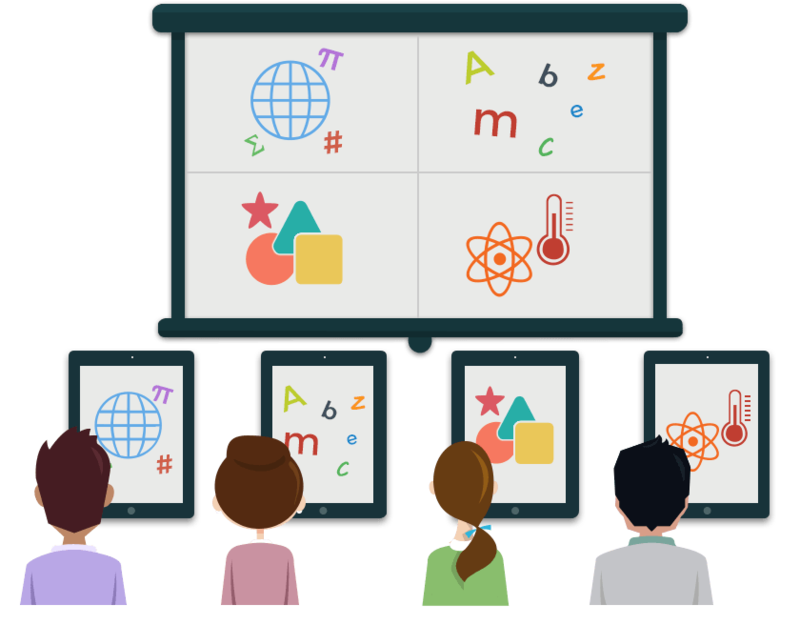 Your device screen is mirrored on your projector converting it into a mobile interactive whiteboard. 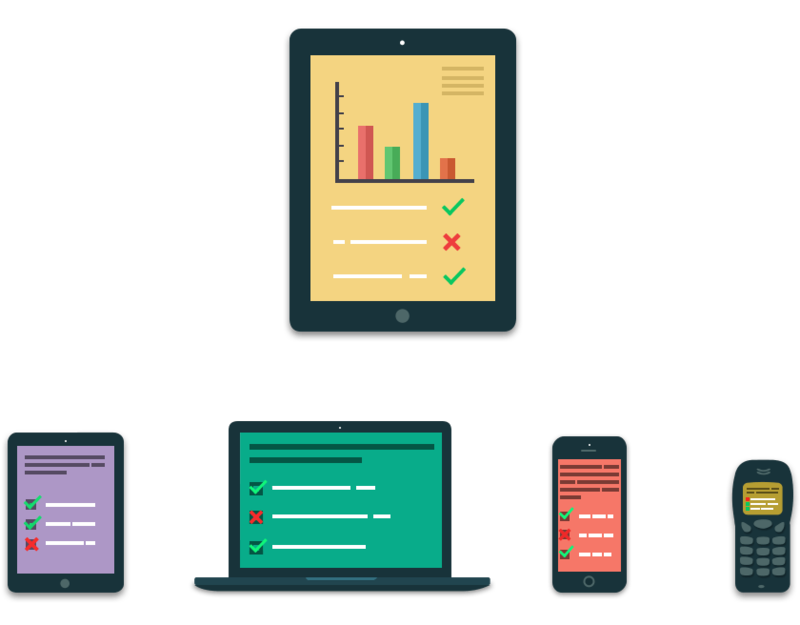 Using your device, you teach completely untethered and schedule formative assessments in real time. Students participate and respond using their personal wi-fi or cellular data enabled devices. You view response analysis in real time and align your instruction to exactly match student progress. With the Annotate Mirror client running on your computer, your device screen is reflected on your projector. Freely walk around for a completely untethered teaching experience. Interact with your device exactly as you would with an interactive whiteboard. Use a variety of drawing tools and multi touch gestures to make your content dynamic. Schedule formative assessments in real time without leaving your whiteboard screen. Students use their wi-fi or 3G/4G/LTE enabled personal mobile devices like smart phones, tablets, iPods to participate in the class and respond to assessments. Annotate automatically tabulates and grades student responses in real time. So, you can pinpoint precisely how many students are getting it without wasting precious class time. Kick "boring" out of your classroom! Teach completely untethered. Face your class and make eye contact with your students to grab their attention. Embed rich media to make your lectures come alive. Schedule formative assessments to keep your students engaged. Schedule assessments and get your entire class to respond. 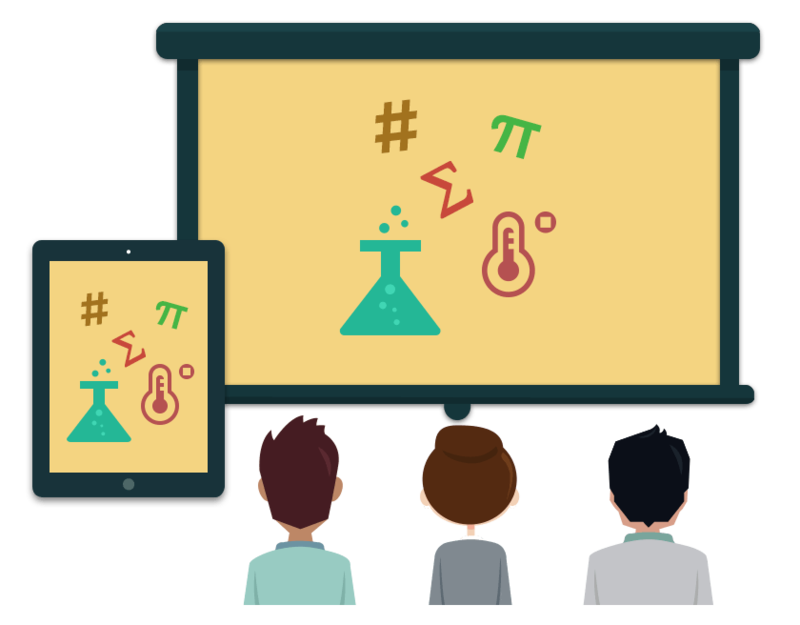 Set up collaboration activities for your students. Get them to present from their seats on the screen. Encourage discussions through the messenger without disrupting your lecture. Use the real time response system to give immediate feedback and tailor your instruction on the fly. Flip your class using the video capture tool. Initiate post class discussions to ensure learning continues even outside the classroom.